Hot Air posted a very interesting article today on climate change. There is a theory from the University of Wisconsin that was included in the journal Nature. There is no doubt that the climate has gone through various changes over the centuries. We need to have a serious apolitical discussion about climate change to see if we have the power to influence or prevent it (or if we want to prevent it). This new information should be part of the discussion. 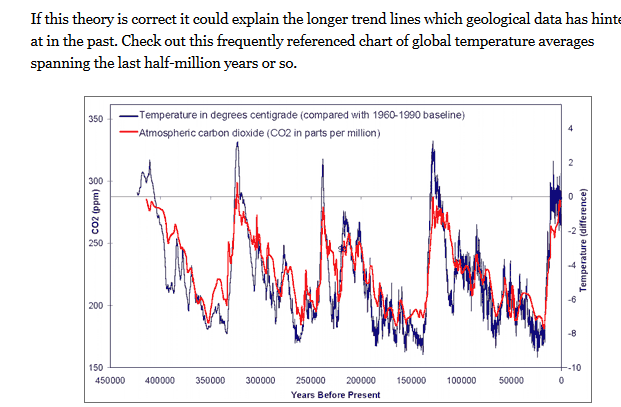 This also might explain the period of global warming during the Middle Ages which was obviously not caused by carbon emissions.